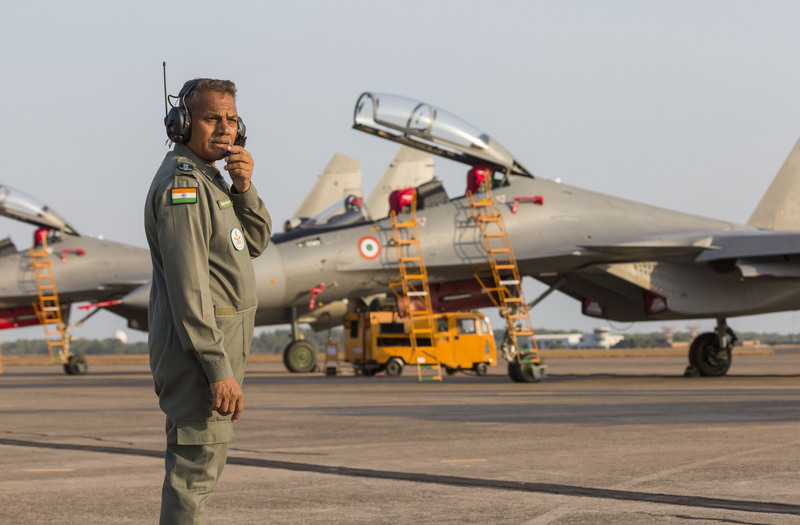 Junior Warrant Officer Skioanta, from the Indian Air Force, monitors the start-up on a pair of SU-30MKI Flankers for a mission during Exercise Pitch Black 18. *** Local Caption *** Exercise Pitch Black is the Royal Australian Air Force’s largest and most complex exercise. Pitch Black 2018 is being conducted at RAAF Bases Darwin and Tindal from 27 July until 18 August. This year’s exercise features up to 4000 personnel and up to 140 aircraft from 15 participating nations. 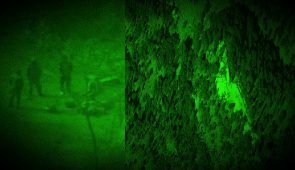 Exercise Pitch Black aims to further develop offensive counter air, air-land integration, and intelligence, reconnaissance and surveillance capabilities, as well as foster international co-operation with partner forces. 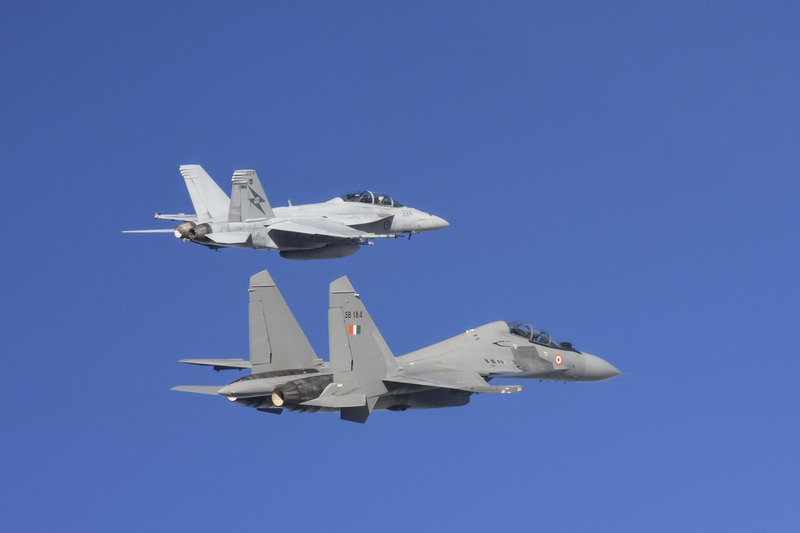 As four Indian Air Force Su-30 MKI fighters roar over northern Australia as part of Exercise Pitch Black 2018, Livefist has learnt that the IAF is looking favourably at a proposal to order 40 more such jets from Hindustan Aeronautics Ltd (HAL), which license-builds the jets in western India. The IAF currently operates over 250 Su-30 jets, with the total order of 272 jets to be completed next year. In February this year, just as the Indian MoD was beginning work on the IAF’s Make-in-India fighter program, HAL made an unsolicited proposal to the Ministry of Defence offering to supply an additional 40 Su-30 jets to the IAF on financial terms matching the current deliveries. While the IAF is yet to formally record its opinion on the proposal, Livefist can confirm that internal discussions are favourable. 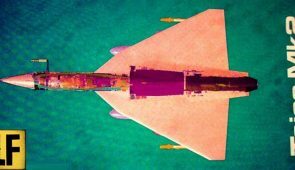 Internal arguments against the proposal include availability problems that have beset the Su-30 fleet, the aircraft’s footprint and a range of recent technical and maintenance issues that the IAF is hoping to resolve with HAL and Russia. 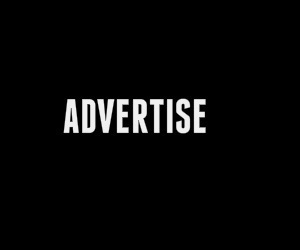 Sukhoi, on its part, has amplified HAL’s proposal for more jets with its own publicity campaign. The last leg of HAL’s Su-30 production coincides with high turbulence in India’s quest for more fighters. Aside from political warfare over India’s 2016 deal for 36 Rafale jets, the IAF continues to battle dwindling squadron numbers, with a significant number of old MiG-21s to be retired over the next two years. 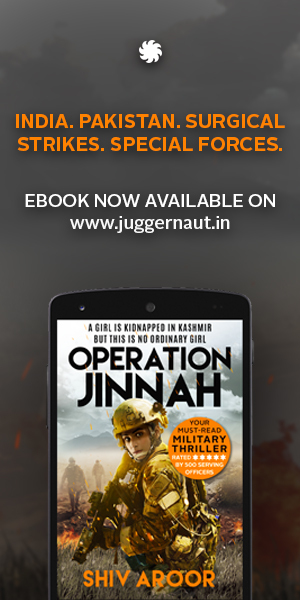 But there’s significant budgetary headwind that has forced the IAF to rejig its purchase priorities. Sources indicate, however, that additional Su-30s would be easier to justify from an expenditure perspective than several other proposals. 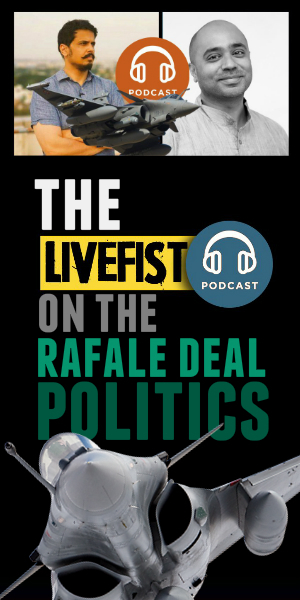 While HAL won’t be seeing any ‘action’ in India’s Rafale jet purchase — a bone of political contention now in India’s fraught election season — the company has its hands full. 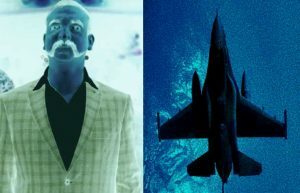 Only days after HAL made its proposal to build more Su-30s for the IAF, the company joined a three-way partnership with Boeing and the Mahindra Group to compete for the Indian government’s Make-in-India fighter program and build the F/A-18 Block III Super Hornet in India. Elsewhere, the company is under pressure to ramp up production rates of the Light Combat Aircraft Tejas to meet IAF order timelines. To be sure, as an HAL executive pointed out, the company’s push to build more Su-30s won’t add any pressure on resources, considering the Nashik production line only builds the Russian jet. The MoD is likely to take a final decision on HAL’s proposal for 40 more Indian-assembled Su-30s by the end of this year. If the MoD says yes, the IAF will have acquired 312 Su-30s. India has lost a total of eight Su-30 jets in accidents since 2009, the most recent being a brand new jet crashing during pre-delivery trials in June this year. 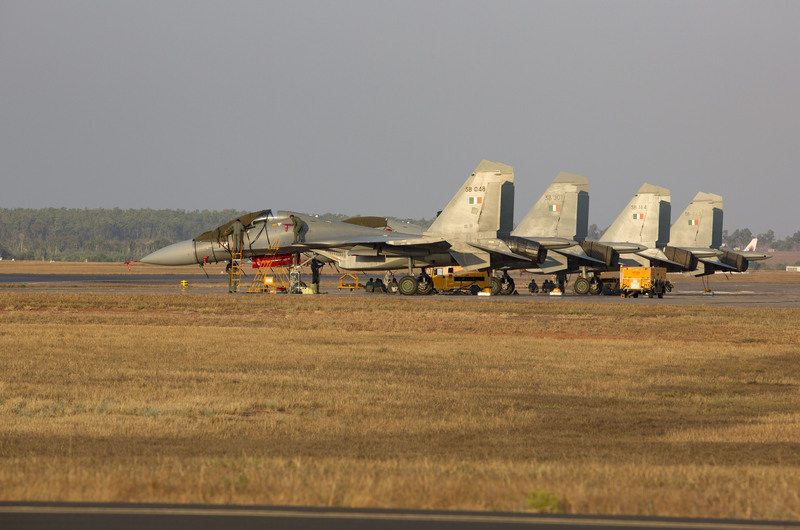 Indian Air Force Sukhoi SU30s parked on the hardstand at RAAF Base Darwin in the Northern Territory, for Exercise Pitch Black 2018. 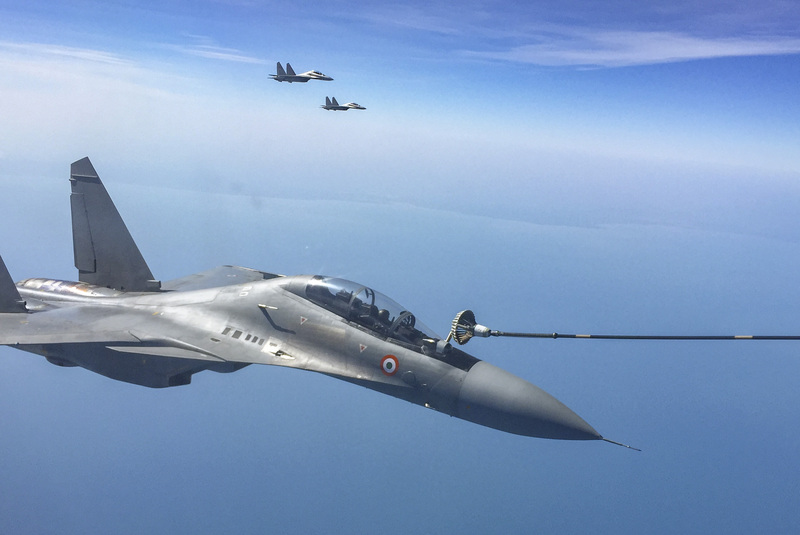 An Indian Air Force Su-30MKI Flanker refuels from a RAAF KC-30A Multi-Role Tanker Transport during Exercise Pitch Black 18. Officer Conducting Exercise, Air Commodore Mike Kitcher, AM, DSM visits the Indian Air Force contingent who are participating on Exercise Pitch Black for the first time. 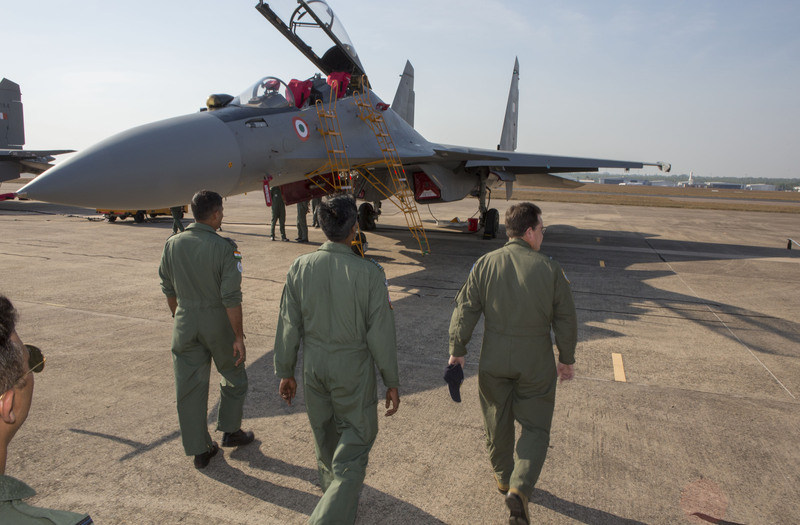 Squadron Leader Ranjith from the Indian Air Force monitors the start-up on a pair of SU-30MKI Flankers for a mission during Exercise Pitch Black 18. 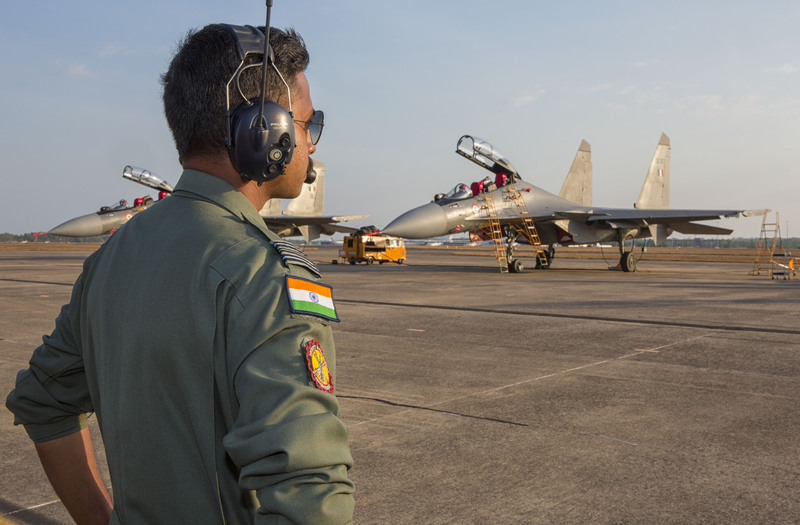 Junior Warrant Officer Skioanta, from the Indian Air Force, monitors the start-up on a pair of SU-30MKI Flankers for a mission during Exercise Pitch Black 18. Good decision. 36 Rafale + 40 Su-30 MKI will cover the fighter shortfall to a very big extent. They should have these birds able to carry Brahmos. Maybe order 40-50 latest MiG-29 variants from Russia, we will have required fighters quickly that can be maintained using existing infrastructure . Then Govt can focus on Tejas and it’s improved variants. 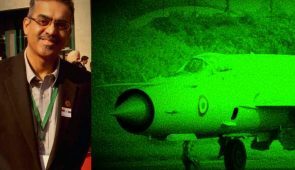 How does 40 additional Sukhois make up 3 squadrons? 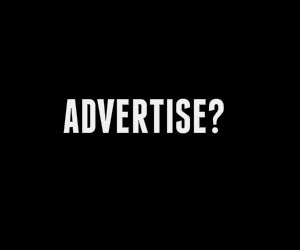 At best, it will be 2 squadrons…Please clarify…. Good decision if made quickly. 36 Rafale + 40 Su-30 MKI should reduce the shortfall . Hope these can all carry Brahmos. Then maybe order 40-50 MiG-29 variants , the squadron shortfall will be covered up quickly at lower costs by 2024 or so. We need to see our neighborhood capabilities too while ordering jets. Mig-29 can hold itself against PAF anyway. Now we need to replace the complete mig21 fleets with Tejas MK 1 & MK 2. For future we can update our su mki to Super Sukhoi and then 4++ fighters according to our defence budgets in coming years to come but under Make in India initiative.